3 Tattoo Trends on The Rise in 2016. Tattoos have gotten increasingly popular as a symbol of self-expression and style. Each year seems to hold different tattoo styles and trends to change-up your body ink, whether it be your first or tenth tattoo. Here’s 3 new trends we’re starting to see rise this year. The art of dotwork in a tattoo is ever so slightly becoming more and more popular. This technique involves using small dots to depict your tattoo. It adds an angle of detail that catches the eye just a little more. This mesmerizing and beautiful technique will give flare and personality to any tattoo. It’s artsy, it’s different and it’s getting all the rave. Watercolor tattoos make bold a statement with their impeccable resemblance to an actual watercolor piece. 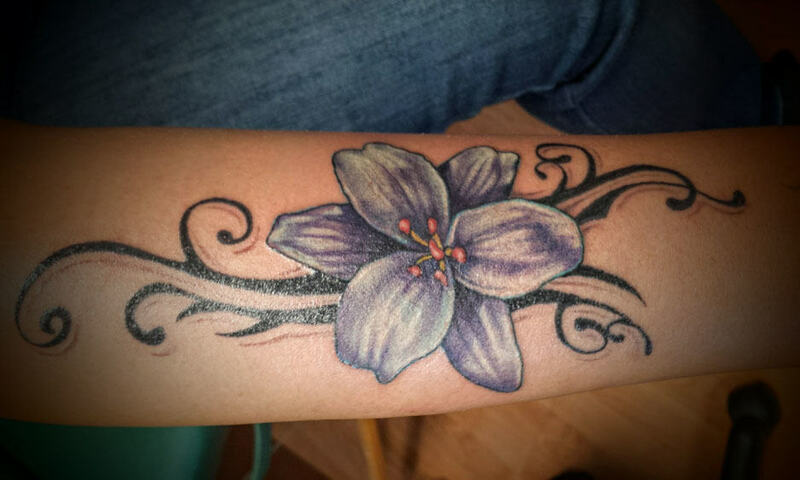 It adds the illusion of movement to a color tattoo and makes all the colors stand out. If you’re looking to add that whimsical look to your tattoo, this is they way to go. The simpler the better. This new trend is simple and dainty but can still satisfy that tattoo craving. Whether it be a flower, an arrow or even an animal of your choice, this trend can give you exactly what you want without all the added stuff. It’s for the minimalist out there who believe that less is more. New trends come every year and it’s a great way to change things up. Contact us and we’d love to help you decide if one of these trends is for your first or next tattoo! Call us today 702 435 1149 or pop by and meet our Las Vegas Tattoo Artists. 3 Tattoo Trends on The Rise by the Skin Factory Tattoo & Body Piercing shop in Las Vegas.